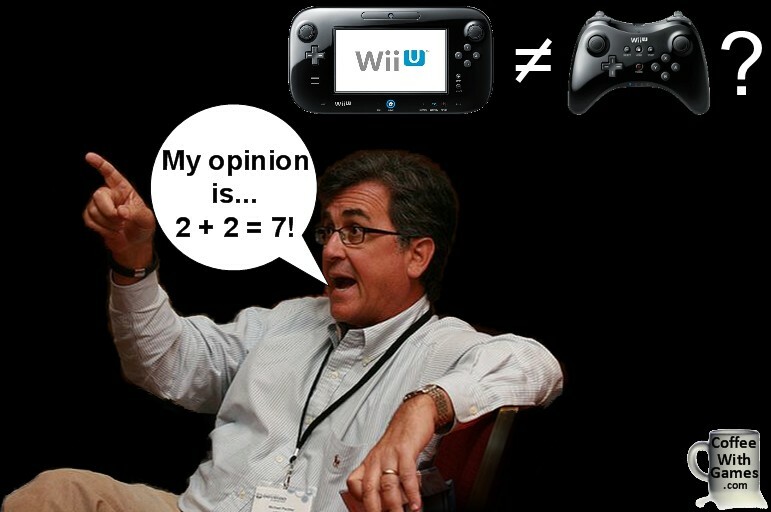 Coffee With Games: Pachter: "Sometimes, I add two and two and get seven..."
Was Michael Pachter's opinion on this topic of Activision, or even another third party developer, basically demanding Nintendo make the Wii U Pro Controller or they would not support the Wii U console a well informed opinion? Was it an opinion based around the known facts of the Wii U's controllers and the history of Activision's support of the Wii, as people should expect coming from a "Managing Director" at an "Equity Research" firm? Well, when I saw the quote I decided to contact Mr. Pachter for clarification because I thought it might have been out of context, and wanted to give him the benefit of the doubt. After a few email exchanges with him, and pointing out what I thought was one obvious flaw in his opinion on this subject, Mr. Pachter replied, "Sometimes, I add two and two and get seven, but I still add two and two." What was the context of this quote, and what flaw did I see in Michael Pachter's original statement? More importantly, did Mr. Pachter explain his statement after I mentioned why his original opinion made no sense, in a way that made sense? Brew yourself some coffee, and take a look at one partial email exchange with Michael Pachter below, as well as a visual aid I hope can help with Mr. Pachter's bad math! In one email exchange after a few paragraphs, I closed with "If you want to go around saying the world if flat, when the facts prove otherwise, you certainly can do that, but don't be surprised when people don't take you seriously. I was actually trying to get clarification on the issue, and see how you reached the 'opinion' you did. That's my point." In the response email he sent, Mr. Pachter said at one point, "You have a right to your opinions, and you of course have a right to think that my opinions must be based on facts. However, it is my view that my opinions can be based on whatever I see around me, and putting two and two together gets me to opinions all the time. Sometimes, I add two and two and get seven, but I still add two and two." I think the problem with Mr. Pachter's defense of just coming to the wrong conclusion, or opinion, is that he wasn't even analyzing things around him that were obvious, and he certainly wasn't just using simple math. He was creating a problem where the solution was already known and he did so by ignoring facts and history. First, he ignored that the Wii U GamePad has more buttons and control input options, than the Wii U Pro Controller does. How does the Wii U GamePad not equal the Wii U Pro Controller, when the GamePad offers more buttons and input options than the Wii U Pro Controller does? Is there a third party developer that would look at the Wii U GamePad and think it doesn't have enough input options? Second, he must have also forgotten that Activision has published every single Call of Duty game, except one, for the Wii. As I wrote about before, Treyarch has developed or ported each Call of Duty Wii game, and they are developing Black Ops 2; why wouldn't Black Ops 2 be on the Wii U considering Treyarch's support of Nintendo's current console? Now, if he had said EA demanded a more traditional controller, that might have been a little more believable based on EA's spotty support of the Wii with their FPS games this generation. Personally, I think Mr. Pachter can have any opinion on video game subjects and topics that are still a mystery such as the Xbox 720 and PlayStation 4, or something such as "Michael Pachter's Top 10 Video Games of All Time". I know he meets with many video game representatives and people within the video game industry, but when he makes a statement that contradicts known facts, he should be able to explain why his statements make sense and why they should be taken credibly, when the evidence and facts show otherwise. I think the one thing his statement showed though, is that Michael Pachter is not irrelevant to the video game industry and especially to the video game "journalism" side of things. I think his statement was not only incorrect though, but I also haven't seen much in his response emails that makes me think he believes he was wrong and the only clarification he has given ignored Treyarch's support of the Wii this generation. I did ask Mr. Pachter if perhaps he had skipped his daily cup of Yuban coffee that day and think perhaps he answered it decaffeinated, but I haven't received a response to that question yet. Do you think Michael Pachter is well informed about the video game industry, and that his original comment and his response about it to me made sense based on what we know of the Wii U's controllers? Or, do you think Michael Pachter should never speak another word about the video game industry again, and a thousand of Cupid's arrows would not change the way you feel about him? If you could ask Michael Pachter one question in general, keeping it civil, what would that be? I'm going to take a punt here, taking a guess at the inner workings of the man's mind, to see if I can't explain where Pachter is coming from. I think his perspective runs something like this: "Nintendo wants to court third parties, and it knows it needs Activision. Activision tend to be quite choosy about where they invest the bulk of their development dollars, and that's to proven, not untried, technologies. The dual-shock/ Xbox 360 controller is proven for the CoD audience, so to try and court Activision, Nintendo has developed a CoD-friendly controller solution for the Wii U." None of that line of thought is unreasonable - in fact, that's almost my exact understanding of what the classic controller is there for - third parties that like developing traditional games and don't want to mess around too much with the "innovation" of the Wii U game pad. The big third party publishers tend to be quite precious - if something isn't easy to grasp they tend to go back to the tried-and-true "safe" options. I've always seen that traditional controller on the Wii U as the answer to the "safe" option. But of course Pachter proves again he's as good at explaining his point of view as the Dodo bird was able to talk itself out of extinction. As for a question for Pachter? Does he want a media relations/ PR person? Because he needs one, and I'll do it for a few hundred thousand/ year. Good analysis piece, Mr. Coffee! First, thanks for the comment and discussion! Pachter's reasoning though as I said/showed, ignores that the Wii U GamePad has all of the control options as the Wii U Pro Controller and then some...in short. He said a third party, Activision, said no Call of Duty if no regular controller. Activision has a history of supporting the Wii with FPS games using Wii Remote and Nunchuk controls. EA failed to bring over any Battlefield game for the Wii, and they didn't bring over last year's Medal of Honor. As for, "Activision tend to be quite choosy about where they invest the bulk of their development dollars, and that's to proven, not untried, technologies." I would say DJ Hero, Tony Hawk Ride, and Skylanders were all unproven, untried, and new/different technologies, and one was a pretty big failure, one was decently successful, and one has been a major success so far. I don't think most people understand Mr Patcher. I certainly don't. What I do know is Mr Patcher seems to have a knack for correctly interpeting from a shareholder and investment standpoint how well or not a company is going to do. Mr Patcher himself points out his opinions are based in these areas and not necessarily a critique of an actual game which is where most people in the video game world would seem to concentrate there time. Hence the animosity he generates. I doubt if the wii u pro controller was demanded solely by activision. Since the wii u will not support the GC controller and this is by far the preferred controller for smash bros I imagine the pro controller is designed for smash bros U, the rumored Gamecube virtual console and multiplatform games in general. I have my doubts that the controller was strictly due to CoD. I mean, Nintendo came out with the classic controller for the Wii despite the fact you could do the same functions with a Wii remote - just less comfortably. While the tablet controller has a ton of options, it remains to be seen yet how comfortable it is for hours at a time compared to a more traditional controller. I don't really pay a ton of attention to Pachter, at least no more than any other analyst. I like to read his comments but most of the time they are opinions more than fact, and I try to take them as such. The controller was created because the main controller is expensive to manufacture and it is taxing to go beyond one at a time. The pro controller is for multiplayer and those single player people who like the feel of a smaller controller. I agree with this line of thinking, and said the same thing on another post right before E3, but after Nintendo showed the Wii U Pro Controller for the first time in their "Pre-E3" event. I said, "Just providing a more cost effective way to get everybody gaming on the console." Followed with another response to the article with, "I'm a Nintendo skeptic, but I don't see how this is anything but good for the consumers and developers. A Wii U controller will be standard with the system, so that's a given...but AGAIN, these just make 4-player games more cost effective than a $70-100 gamepad would." One Wii U GamePad with the console, and then another cheaper option for new Wii U buyers that might not currently own a Wii with Wii Remotes and Nunchuks around already. Thanks for the comment and feedback, and stopping by! From what I have read from hands-on impressions, it seems the Wii U GamePad is well made and comfortable to hold. It's just over 1lb, so it's not much heavier than the Xbox 360's controller from what I read. Good point about the GC controller support being dropped, and while the GameCube games could use the Wii U Pro Controller, at least out of the box the Wii U GamePad will function in the same way with the buttons and control options. Thanks for the comment/feedback, and adding to the discussion! Well, this was actually more of a critique of Nintendo's WIi U GamePad, or ignoring it, by Pachter, and trying to make it appear Nintendo didn't have third party support because of the main controller, when exactly the opposite should be true. If the main controller has all the buttons and input options, and is included with the console, there isn't a reason that I can see why a third party would demand another controller as an accessory. 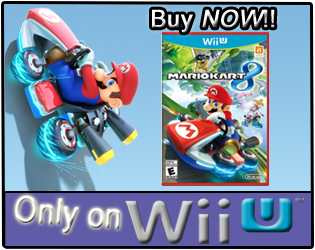 Develop a game for a controller that is in each house that owns a Wii U, or develop a game for a controller that is only an accessory and must be purchased separately (I'm guessing it will be sold separately, and/or bundled with software like the Wii's CC and CCP controllers have been)? I try to keep things a bit on the business professional side most of the time. I was giving him the benefit of the doubt on his original comment which I found odd and not based around facts and sound reasoning, which is why I originally contacted him about it. Thanks for the comment/feedback, and for stopping by! Yea, it's why I contacted him originally, as I thought that perhaps, just perhaps, the full quote wasn't shown or that it was way out of context, but that wasn't the case. Thanks for stopping by! It's not just a matter of the Buttons on the Controller is a matter of Form Factor too. The Wii U controller doesn't attract a core gamer because it looks clumsy to play with. A core gamer putting hours into a game will have additional fatigue using the Wii U Controller. dual screen wii u a problem? then why did they do dual screen games on the ds? I'm sorry Pachter is the Kim Kardashian of gaming. He hasn't done anything important in anyway yet some how he is famous. Pachter. has marketed himself by doing outrageous things. By making bold, and fact less prediction that some how always get published around the net. As long as people give this clown air time. He will find a way to waste it, and our time. I don't think the pro controller was meant for COD, I think it was meant as an alternative. I also except the pro controller to be much cheaper. I would guess the screen controller will be in the $60 range at least... but the pro controller will be in the $30 range. I doubt many games will need the screen to play, but will be optional especially in sports games. I would guess the pro controller was an alternative. Patcher is always wrong and he is an moron, but some things he says are based on truth, the pro controller is more attractive to game developers lets just face it the gold standard is the 360 controller now, and since it looks so similar they can easily see how to make it work, the wii-u screen controller looks awkward to say the least. I doubt nintendo would give into activision either. A side question, where do you get the pro controller having more buttons then the 360? the red button looks like a power button or something.. or is it something else? I would like to ask Pachter a question and I will try my best to keep it civil. I would love you to pass it on for me. He is perfectly entitled to his opinion. I accept that. Two days ago I saw an article claiming he was "frustrated" with Nintendo for not announcing a price. His outburst was that Nintendo expect him to predict sales figures yet fail to provide a price. The thing is, even if they announced a price I still think he would deem it a failure. And I am willing to ask him this. Why does he keep insisting Nintendo are setting up to fail? Surely after being proven wrong time after time he would learn to eat his humble pie and stop crying "Nintendo is doomed"? Does he just not like the idea? I respect him and would like him to clear this up. Just because you don't like the idea or can't accept it doesn't mean nobody else does. I would like to say to Mr. Pachter that the industry needs Nintendo as they innovate in other areas that Microsoft and Sony simply wouldn't. 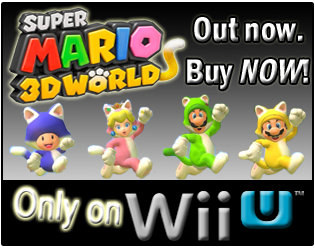 Wii U is there as an option for those who see appeal in it. By wanting PS3 and 360 be the only systems on the market you are denying other users a choice they may not like. PS3 and 360 are so similar. And that is very selfish just because you don't play Nintendo systems. Apologies for that. Its just that sometimes I have interpreted his comments as "I want Nintendo to fail because I can't accept or live with their ideas. Therefore nobody else can and it will fail". It's why I contacted him, to see if he could provide clarification and/or see why his statement didn't make much sense considering the points addressed in the article...which I don't think he has done. Well, the benefit is that right now the Wii U GamePad will be bundled with the console from what they have shown, and what we can assume from what they have said. The Wii U GamePad might not attract a "core gamer", but if the controller is comfortable to hold and is included with the console, I wonder how many "core gamers" would pick up an extra controller if they are playing the Wii U by themselves mostly, and online? I just wonder how many people when thinking of a new console for themselves mainly, a core gamer, would pick up an extra Pro Controller first, instead of just giving the included GamePad a try instead? First for your question, "where do you get the pro controller having more buttons then the 360? ", I did count the power button. The first "total" I had was for just the buttons on the controller, with it not mattering what the button does, just that it was present. It was to show that each controller, including the GamePad, has basically the same number of buttons. As for your first point, that was in a comment I made last month on another post, and I agree the Wii U Pro Controller will be an option for NEW buyers of the Wii U system, that perhaps don't even own a Wii console and don't have Wii Remotes and Nunchuks sitting around the house. If you missed one comment about pricing I said in a response above, I said: "Just providing a more cost effective way to get everybody gaming on the console." followed by, "I'm a Nintendo skeptic, but I don't see how this is anything but good for the consumers and developers. A Wii U controller [GamePad] will be standard with the system, so that's a given...but AGAIN, these just make 4-player games more cost effective than a $70-100 gamepad would. "Thanks for stopping by, and adding to the discussion! I will pass it along, and do you remember where you saw the article claiming he was "frustrated" with Nintendo at? I'll search for it in a bit, and see if I can find it, but if you have the original source for it that would help. Well, he knows how to market himself for sure, but I do think that there should be some middle ground and not just throwing out statements when facts/history show something else. As for giving him air time, I have exchanged emails with Mr. Pachter several times, and rarely post them up, but this topic seemed to be brushed under the rug with few responses, seemingly having a clear understanding as to why his original comment didn't make any sense from what we know. I don't rush posts, and this one has been in the works for more than a week, and I try to keep things more on the professional side...so, I was trying to think of a way to show Mr. Pachter a visual aid that would help him, and perhaps investors/developers, to see why the Wii U GamePad has as much to offer as the other controllers, and more. I hope that doesn't come off as too offensive. I have often wondered if the media is misquoting him. ATTENTION ALL BATTLEFIELD, CALL OF DUTY and MEDAL OF HONOR GAMERS! NOW for half price! Only $55! The laser rifles are brought to you by i-Zone-3 Technologies, Inc.